Are you looking for an easy way to gather and display student work? If so then Knowledgehook Snapshots is the tool for you! 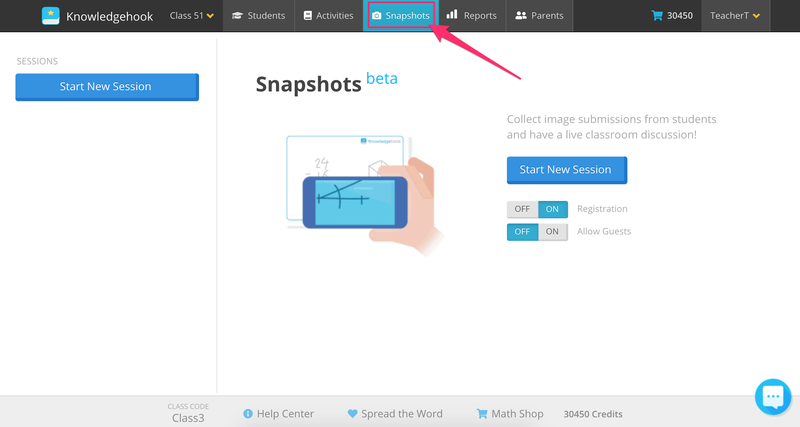 Snapshots is designed to be used during a lesson where a teacher wants to use student work to orchestrate meaningful mathematical discussions. 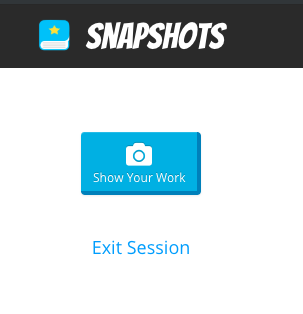 In Snapshots you, or your students, can use any internet connected device with a camera to easily take a picture of their work and display it on the screen. Teachers can take any of the images uploaded and then select and sequence the ones they want in order to lead a discussion with the students that connects the students responses to the key mathematical ideas of the lesson. One students have joined they can click on "Upload Your Work" from their device to take a picture. Use another device, like your smartphone (separate from the device you are using to display the images on the board), and follow the join-session instructions. Once you have joined the session you can take pictures of student's work as you walk around the room and the images will automatically be sent to Snapshots. Once submissions are in you can use the heart icon on any of the images to select that image(s) you want to use for your discussion. You can select as many images as you like. Once you have selected all the images, you can click on the heart button in the upper right of the screen to see ONLY the images that you hearted. That should get you going! Let us know how it works in your classroom. Note: If students are doing an activity on a screen that you'd like to share, Knowledgehook will let a student upload a screen capture image. Have the students take a screen capture then simply select "upload a file" once the student has clicked on "Show your work". 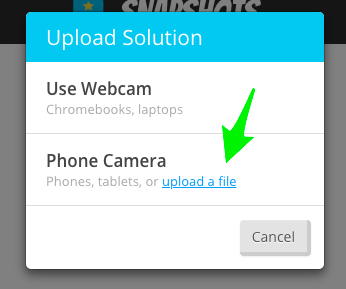 Students will be able to select the file of the screen capture and send it to Snapshots.